Linux server performance monitoring is a method to monitor server’s system sources like CPU Usage, Memory Consumption, I/O, Network, Disk Usage, Process and more. Server Monitoring aids understanding server’s system resource usage which can help you improve your potential preparation and grant a better end-user involvement. 1) What are the best Linux performance monitoring tools? Cacti, Apache status monitoring, Nagios, Zabbix, sensu core, Linux Top, Linux Dash, etc. are some of the best Linux performance monitoring tools. Cacti is an open source network monitoring tool which can be installed on Linux. It is connected to RRDTool which permits us to create graphs associated with relevant network data. It works with SNMP and exhibits the network statistics in the form of easy to understand charts. Cacti require MySQL, Apache or IIS that support PHP. Nagios is the best tool for monitoring almost all standard of elements like network protocols, operating systems, system metrics, website, services, web server, applications, middleware. Nagios operates on a Core-four monitoring engine serves a high level of performance by using fewer server resources. You can combine with most type of third-party software by using a plugin. 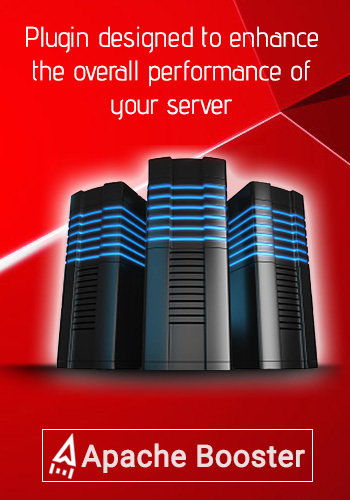 Nagios allows to monitor and alert services for servers, switches, applications and services. It informs users when things go wrong and also notify them when the problem has been solved. Zabbix is an excellent tool created to monitor everything from performance and availability of servers, network equipment to web applications and database. Zabbix is server-agent system plan where you have to install the agent on a server (client) to be monitored by Zabbix server. It supports SNMP and yields better reporting. Apache Module mod_status is an Apache server module that enables you to monitor the workers status of the Apache server. It makes a report in an open to read HTML format. It gives you the status of all the workers, how much unit each one is using, what requests are commanded; and the number of working and non-working operators. Linux Dash is the index page of the control panel for a website’s content management system. It shows you the most relevant information about your Linux systems such as RAM, CPU, file-system, running processes, users, bandwidth usage in real time, it has a good GUI and it’s free and open-source. 2) What are the necessary commands one should know in Linux server performance monitoring? The ‘iostat’ command shows in detail how your storage subsystem served. Usually, we use ‘iostat’ to monitor how well the storage subsystems are working in common and to correct I/O problems before the customers experience the slow running server. This presents the details of what’s going on in server’s memory at any presented time. ‘Free’ is another important command similar to meminfo. The ‘free’ command renders data about available and utilized memory and swap location on any computer running Linux or another Unix-like operating system. Here memory mainly comprises random access memory (RAM) chips that have been built-in to multi-chip modules that are, in turn, plugged into slots on the motherboard. Swap space is a portion of a hard disk drive that is utilized to reproduce additional main memory. The ‘mpstat’ command reports activities of each of the available CPUs on a multi-processor server. Mpstat also reports on the mediocre actions of all your servers’ CPUs. It displays a total CPU statistics per system or per processor. By making use of the “SAR” command, we will be able to get reports about the whole system’s performance. This will aid to find the system bottleneck and give the help to find out the clarifications to the performance problems. The SAR command demands standard yield based on the values in the count and interval parameters. The gathered data can also be stored in the file specified by the -o filename flag, in addition to being presented on the screen. You can select information about specific system activities using flags. Without specifying any flags will do only CPU monitoring activity. Linux ‘top’ command is a performance monitoring program which is often used by the majority of system administrators to monitor Linux performance and it is usable under many operating systems like Linux/Unix. The ‘top’ command applied to complete all the running and active real-time processes in the designated list and updates it constantly. It presents CPU usage, Memory usage, Swap Memory, Cache Size, Buffer Size, Process PID, User, Commands, etc. It also gives high memory and CPU utilization of a running process. The top command is quite useful for a system administrator to monitor and take corrective action when required. Netstat, nmon, pmap, ps, pstree, sar, strace, tcpdump, etc. are few important commands. 3) Can we secure Linux server by monitoring? Ensuring security by monitoring user activities is possible in Linux. If we are allotting lots of users then it’s essential to assemble the data of each user actions and processes utilized by them and examine for in case if any sort of issues arises. ‘Psacct‘ and ‘acct‘ are two beneficial tools which are employed for monitoring user activities and processes on a system. These tools work on a system background and continuously follow each user activity on a system and resources used by services such as Apache, MySQL, SSH, FTP, etc. 4) How to check CPU utilization in Linux? The ‘top’ command and ‘iostat’ command is used to check CPU utilization in Linux. ‘Top’ provides a dynamic view of CPU utilization. It represents system information as well as the listing of tasks currently managed by Kernel. Is also shows ‘uptime’, ‘average load’, physical and swap memory utilization. ‘iostat’ command is done to monitor CPU utilization and I/O statistics of all the file systems and disks. The ‘nfsiostat’ command is used to monitor I/O statistics of network file system. ‘iostat’ command watch the I/O (Input/Output) devices loading by averages of checking the time, devices which are operative with respect to their average transfer rates. This command is particularly advantageous for producing reports that we can use to optimize the system’s input and output load. The ‘iostat’ command shows how your storage subsystem served in detail. 5) What tools are available to monitor SQL Server performance on Linux? Use system dynamic management views (DMVs) to collect different types of information about SQL Server, including Linux process information. You can use Query Store to increase query performance. A Linux server is a hugely-controlled modification of the Linux open source operating system that’s intended to handle the more critical requirements of business applications like network and system administration, database management and Web services. Performance monitoring is critical in this case. Technology boost server performance, linux server performance monitoring, manage server performance, server performance monitoring tools. permalink.